Nassau, New Providence – The Water and Sewerage Corporation (WSC) wishes to provide the following update to our customers and the general public regarding reports and assertions that our Malcolm Park improvement works is related to the recent conch poisoning cases in New Providence. The Corporation has been deliberate in its efforts to ensure the availability of clean, potable water at Arawak Cay, Potter’s Cay Dock and Montague Ramp. Several years ago the Corporation installed the necessary infrastructure to ensure that potable water is readily available at these locations. • Department of Environmental Health Services reviewed and approved the project to rehabilitate the Waste Water Treatment Plant at Malcolm Park. These requirements were met, and has resulted no breaches, in this protocol, being observed by the relevant authorities, to date. Construction began on the disposal well. The well was drilled to a depth of 600 feet below mean sea level, and cased in concrete up to 400 feet. • The Department of Environmental Health Services (DEHS) collected marine samples at the dockside (Potter's Cay and Arawak Cay) during the initial outbreak, and both sites tested positive for the virus. • Meeting between WSC and Department of Environmental Health Services (DEHS) to discuss conch poisoning were held, and an update was provided on progress at our Malcolm Park Wastewater Treatment Plant site. • DEHS committed to securing marine samples to check for the presence of any viruses in the area from Montagu to Arawak Cay. • WSC checked the water consumption history of vendors at Potter’s Cay Dock and identified seventeen (17) vendors, who were either not using city water, or had minimal water usage. • WSC strongly recommended to the Ministry of Health that they carry out their responsibility and visit each of the vendors and inspect their operation. • In addition to Potter’s Cay, DEHS advised WSC that there have been cases of conch poisoning at Arawak Cay, and as far away as Lyford Cay area. DEHS has confirmed to the Corporation that it intends to undertake resampling to check for the presence of any viruses in an area from Montagu to Arawak Cay. We await the results of this resampling. All matters pertaining to the marine environment are being addressed thru the Ministry of Health, and the Department of Environmental Health Service (DEHS) as is their responsibility. Sewerage Corporation, and the office of Executive Chairman’s or the General Manager. 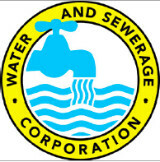 The Water and Sewerage Corporation was established through an Act in 1976, with full responsibilities for managing, maintaining, distributing and developing the water resources of The Bahamas. Through a loan with the IDB in 2011 the Water and Sewerage Corporation has developed the WSC Support Program to address Non-Revenue Reduction, WSC Institutional Strengthening, Rehabilitation and Upgrade of Wastewater Infrastructure and Preparation of a Wastewater Treatment Master Plan, and an upgrade of the Legal and Regulatory Framework. The Support Program will ultimately improve the quality of service to customers.